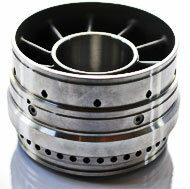 We custom manufacture both tight tolerance seamless or welded & drawn tubing in the widest range of materials. All tubing is drawn to print. 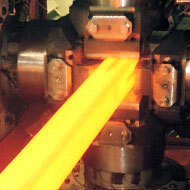 Veridiam offers EDM capabilities at multiple facilities. 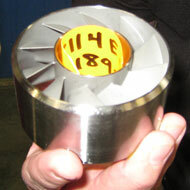 We specialize in the precision machining of complex geometrical components using high performance alloys. We are recognized pioneers in the ultra close tolerance manufacturing of dental implant, prosthetic, and surgical components since 1981. Veridiam takes responsibility to deliver a finished assembly to specification on time. Vertical integration offers our customers a cost effective solution for their assembled products. Veridiam features a wide range Computer Numerically Controlled equipment at several locations. For Burr-free cutting on a wide range of materials including exotic metals and high performance alloys using optimized laser parameters you can depend on Veridiam. Veridiam has a dedicated prototyping facility with state-of-the-art equipment, enabling us to perform all manufacturing processes needed to turn our customers’ ideas into a functioning component. Veridiam calls upon decades of metallurgical experience to help you select the optimal alloy for product solutions across a broad range of industries. Veridiam takes great pride in fixture design. Our in house tool room produces high precision fixtures that enable repeatable manufacturing results. Based on over 60 years of experience, we offer engineering assistance to our customers on DFM, material development and selection for their component applications.